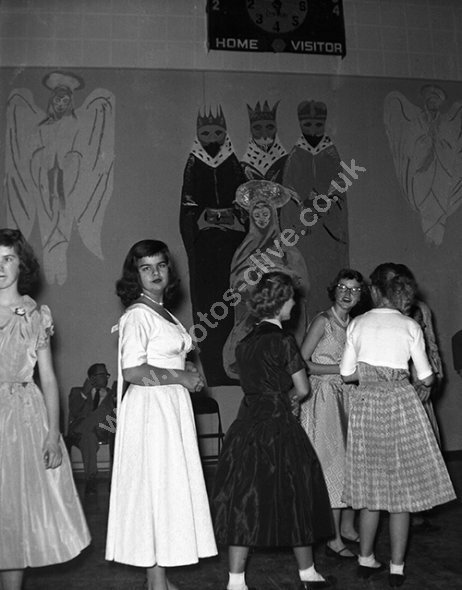 1950s girls wearing bobby socks to a dance in the local gym around Christmas time. For commercial use of this photo, including use on another website, please visit Alamy.com and search for M8JDNX. For a one-off print please see below.